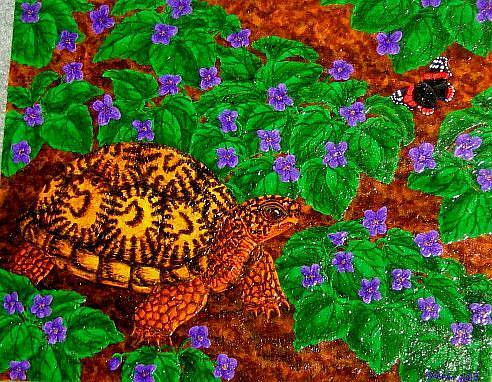 This is an Eastern Box Turtle walking through a patch of violets in springtime, while a Red Admiral butterfly flutters off to the side. The painting is full of elements of early spring in the woods of eastern North America. Included in the 2013 Cold-Blooded Creations Show in Daytona, Florida.